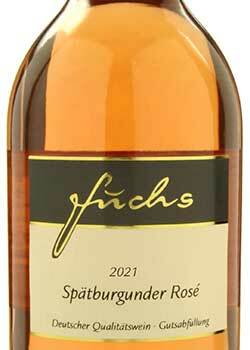 Fuchs Pinot Noir Rosé has a medium-sweet taste, a harmonic combination of fruity acidity and sweetness. It has a fine flavour of cherries and bilberries and a brilliant rose colour. This Pinot Noir rosé wine goes well with and without food, as a light aperitif or as a companion for not too spicy dishes such as poultry, meat and vegetables. Enjoy it well-cooled on warm summer evenings!